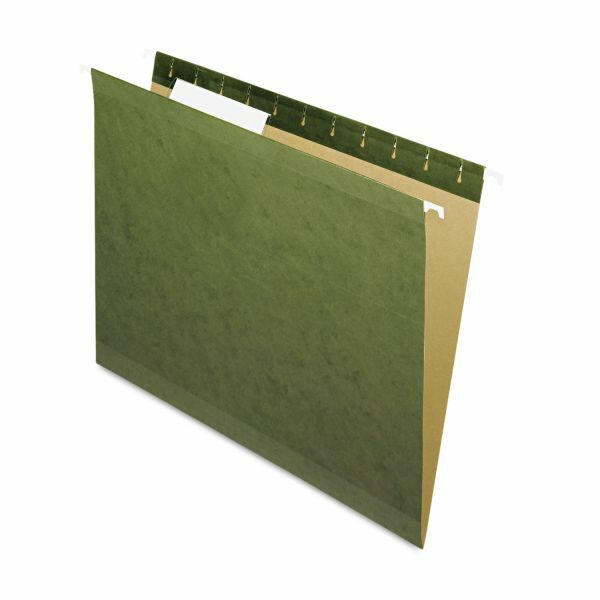 Now includes letter size, printer-ready inserts and clear tabs (unless otherwise noted). 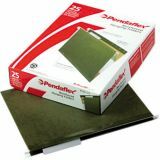 Pendaflex Reinforced Hanging File Folders, Letter, 1/3 Tab, Standard Green, 25/Box - Includes clear 1/3 cut tabs and blank white inserts. Reinforced with polylaminate at all critical points of wear. Light interior helps prevent misfiles. SFI Certified.